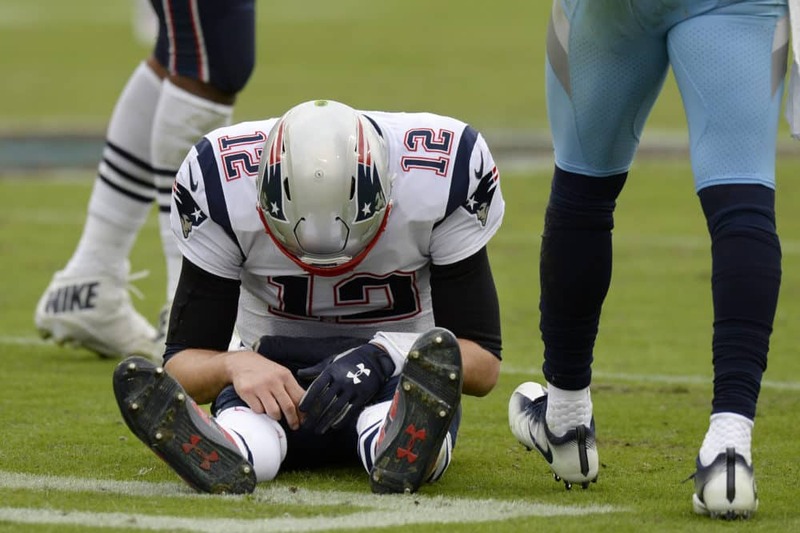 The Tennessee Titans were massive home underdogs to the New England Patriots Sunday in Nashville, but do not tell them that. 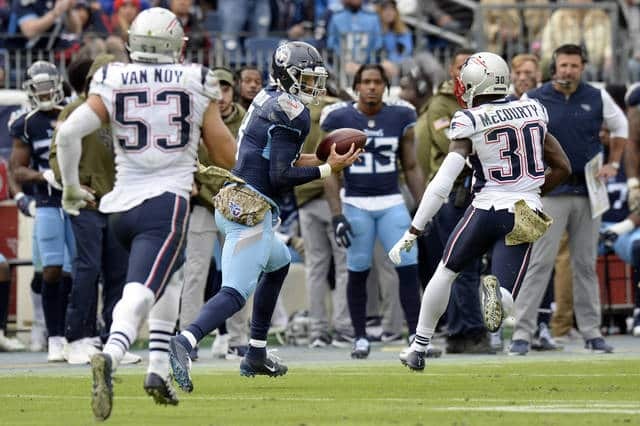 The Titans dominated the Patriots in every phase of the game from the opening kickoff with Darius Jennings returning it 59 yards. From there, QB Marcus Mariota and the offense exploded for 17 points on the first three drives. The top-ranked defense in the NFL played like it on Sunday. Experts had their doubts about the Titans #1 ranked defense before the game. The Titans were allowing a league-best 17.6 points per game coming into the week. However, the Titans had mostly played teams with offenses in the bottom third of the league. It’s a classic problem–which came first, the chicken or the egg? Were the teams ranked in the bottom third of the league offensively because they had played good defenses like the Titans? Perhaps the Titans defense is legitimate? The question has been answered. Tom Brady, Patriots legendary QB, was held to 51.2% completions (season-low) for 254 yards and 0 scores. The Titans were challenged by one of the best offenses in the NFL over the last decade and completely shut them down. Tom Brady was sacked a season-high three times. Tom Brady did a good job avoiding several sacks because that number should’ve been much higher. Titans QB Marcus Mariota was spectacular Sunday especially in the first quarter. Mariota completed 66.7% of his passes for 228 yards, 2 TD, 0 INT, 1 reception for 21 receiving yards, and 2 rushes for 21 yards. (Mariota had another TD pass dropped in the endzone). The day has highlighted by a beautiful floater to WR Corey Davis on the left side of the endzone. Despite the pass interference call, Davis made the catch for the score. (This was eerily similar to the TD reception in last year’s AFC Divisional playoff game). Dion Lewis was solid throughout the game receiving out of the backfield. Derrick Henry iced the game in the 4th quarter with his 2nd TD rush of the game averaging more than 5 yards per carry. The Tennessee Titans scored 17 points in the opening quarter, the most points in any quarter this season. Mariota has now stacked three good performances consecutively on the national stage. Besides the players mentioned above, the Titans had several contributors leading to the big win over the Patriots. The WR group looked much better this game led by Corey Davis who had 7 receptions for 125 yards and 1 TD. TE Jonnu Smith added 3 catches for 45 yards and 1 TD. Jennings, Firkser, Batson, Lewis, and Mariota (yes the QB Mariota) all contributed big plays receiving to move the ball down the field seemingly all game long. On the defense, it was no surprise as Wesley Woodyard led the team in tackles and sacks. The entire defense played excellent complimentary football. Most notably the linebackers and secondary shutdown Tom Brady and the opposing offense with constant pressure and blanket coverage. Malcolm Butler, former Patriot, was leading the league in receptions, yards, and scores before this game. Butler wasn’t mentioned throughout the broadcast which is a positive. The Patriots couldn’t pick on Butler like so many other teams have done in the past. Adoree Jackson was a lockdown corner. He only gave up a few plays but came up big on 3rd down a number of times. Kevin Byard, Titans FS, who danced on the star in Dallas last week on Monday Night Football, also shined with pass breakups and key open-field tackles throughout the game. 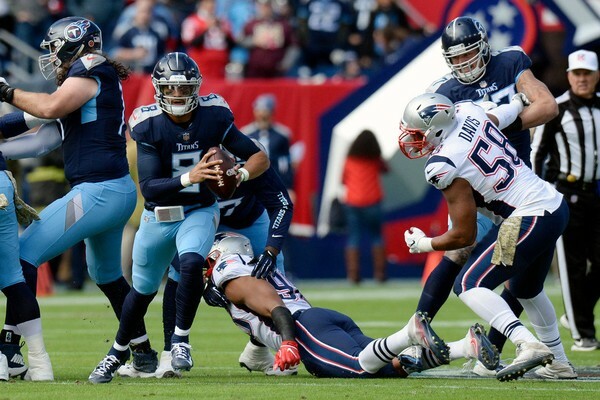 Around the league, the Titans have been nicknamed “New England South” due to so many members of the current Tennessee Titans being former members of the Patriots–OG Josh Kline, CB Logan Ryan, CB Malcolm Butler, RB Dion Lewis, HC Mike Vrabel, and GM Jon Robinson. Today, the outcasts got the best of their former team. This game marked the first time Patriots head coach Bill Belichick faced a former player in a game. Titans head coach Mike Vrabel was a major piece of the Patriots first run of Super Bowl victories early in the dynasty as a linebacker. Today, the student got the best of the teacher. The Titans cruised to a 34-10 victory which never felt in doubt. This was the most impressive win for the Tennessee Titans in a long time. The Titans move closer to the playoffs with the win, improving their record to 5-4. Titans fans are left wondering what could have been with three games earlier this year being lost on one play (Dolphins, Bills, and Chargers). Next for the Titans is an AFC South divisional match-up against the red hot Indianapolis Colts (4-5).